Regular readers of this site have probably noticed that I promote quite a few craft beer events, with an emphasis on those that are fundraisers. Whatever the event the primary factor in determining whether or not I will promote the event is value. I do not want anyone to attend an event and not be glad they did. 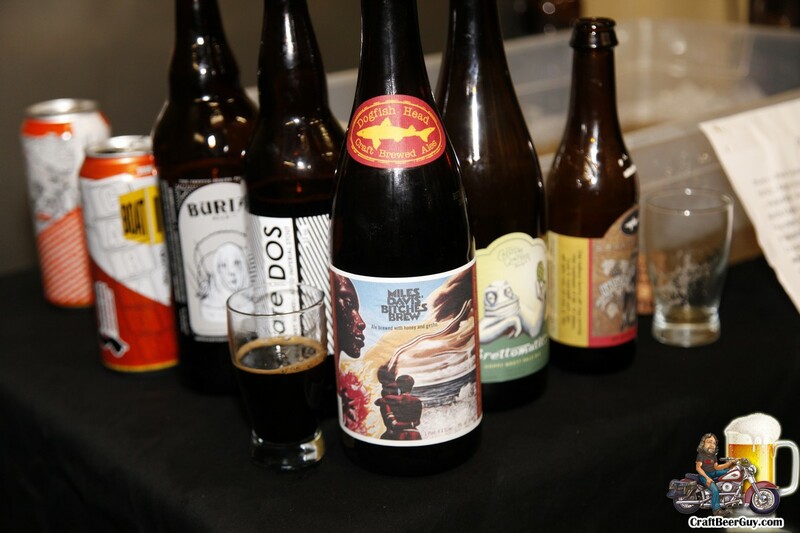 On May 7, Chad Hazen and King Harbor Brewing Company are holding their third in a series of rare bottle shares with the proceeds going to the Richstone Family Center in Hawthorne. Ever since last December, I have been telling anyone that would listen that this event was coming up and it is not one to be missed. Actually, what I have been telling people is that this bottle share is better than the Firestone Invitational when it comes to the number of available beers and there are no lines since ticket sales are limited to 100 attendees! The first of the bottle shares was in December of 2014 when local craft beer aficionado and beer hoarder Chad Hazen decided he wanted to quit drinking beer for a year while he trained for a marathon. As he travels a lot for work he had built up quite a collection of craft beer and he felt it would be too much temptation to have all that beer around while he trained. He got together with King Harbor Brewing Company, he is one of the investors, and they decided they would have a bottle share benefiting Richstone Family Center. 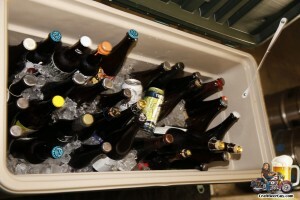 Instead of attendees bringing their own bottles, Hazen provided about 80 from his collection to be shared with the 50 attendees that purchased tickets. As you can see from the list of beers, it was an amazing time. In 2015 Hazen upped the ante by providing 150 beers from his stash and increased the available tickets to 100. For some reason they did not sell out, but I spoke with many that had heard from their friends that they missed a one-of-a-kind event. As you can see by that beer list it really was. However, that night Hazen told me he was going to do it again in the spring, and here we are. Rare beers abound for a good cause. This time Hazen is bringing in 200 beers from his stash, from such breweries as 3 Floyds (Dark Lord), Westvleteren (XII), Pipeworks, Hill Farmstead, Cigar City, J. Wakefield, M.I.A., New Glarus, Wicked Weed, Breakside, Burial, Barrier, Revolution, Brain Dead, Bottle Logic, Funky Buddha, Angry Chair, Three Taverns, Une Annee, Hermit Thrush, Allagash, Ex Novo, Hardywood, Lickinghole Creek, Evolution, Evil Twin, Midnight Sun, Time Capsule, Against the Grain, Begyle, Mikerphone, Three Magnets, Burt Hickory, Intergalactic, Baerlic, The Ale Apothecary, Pfriem, Culmination, Troegs, Big Boss, Buffalo Bayou, Bayou Teche, Mammoth, Destihl, Bend, Barley Brown’s, Weyerbacher, Wynwood, Triple C, Green Man, Spring House, Jester King, Fifty Fifty, Strange Land, Red Brick, Clown Shoes, Rahr, Deep Ellum, Infamous, Keegan, Holy Mountain, Funkwerks, Lazy Magnolia, Urban Family, Ordinem Ecentrici Coctores, Fremont, 5 Rabbit, Nola, Trillium and The Alchemist. In addition, several breweries (Lawson’s Finest, Boneyard, Other Half, Adroit Theory, Gigantic, The Commons, Bissell Brothers, The Brew Kettle, Lakewood, Neshaminy Creek, Phantom Carriage, Right Brain, Toppling Goliath, Half Acre, Transmitter, Carton, SingleCut, Kane, Creature Comforts and The Bruery) have donated to the cause. Hopefully over the years I have built some trust with you, so trust me when I say that you do not want to miss this. Tickets are $55.00 each for general admission or for an additional $20.00 you can get a 1oz pour of the 2015 Samuel Adams Utopias! Bottles of Utopias usually goes for about $200, so this is a nice way to get a bit if interested. Naturally, there are a limited number of tickets for this option. Presented by King Harbor Brewing Company and hosted by Alpine Village all proceeds (except for $5.00 per ticket) will go directly to the Richstone Family Center. This extraordinary charity event will run from 12:00-4:00 PM on May 7 at the Steinhaus at Alpine Village in Torrance. You can purchase your tickets ahead of time at Brown Paper Tickets, and I would urge you to buy them today because when the tickets are gone, they are gone. I hope to see you there. Cheers!